Lulu wants Lucky to find out who did this to Dante, but he tells her he can’t. He explains that he told Mac the whole truth. He can’t be on this case anymore and that he’s taken a leave of absence. Lucky felt Mac needed full disclosure, but Lulu gets angrier when she hears that Lucky quit after he heard about Dante. She figures Lucky can get back on the case, now that Mac knows the truth. Lucky feels partly responsible for Dante’s getting shot. He explains that they were supposed to do a sweep of Sonny’s properties. It wasn’t an official investigation, but he had a lot going on and bailed on Dante. Lulu screams at him that he let Dante go alone and then she slaps Lucky. She wonders why he would do that, when Dante has put himself at risk to protect Lucky. She says they should have told Mac and gotten back up. Lulu says Lucky should have been the one shot. Sonny continues to eavesdrop, as Olivia says she needs answers, but Johnny swears he didn’t shoot Dante. He brings up Sonny, but Olivia claims Sonny didn’t do it either. Olivia wonders if it might have been Anthony. 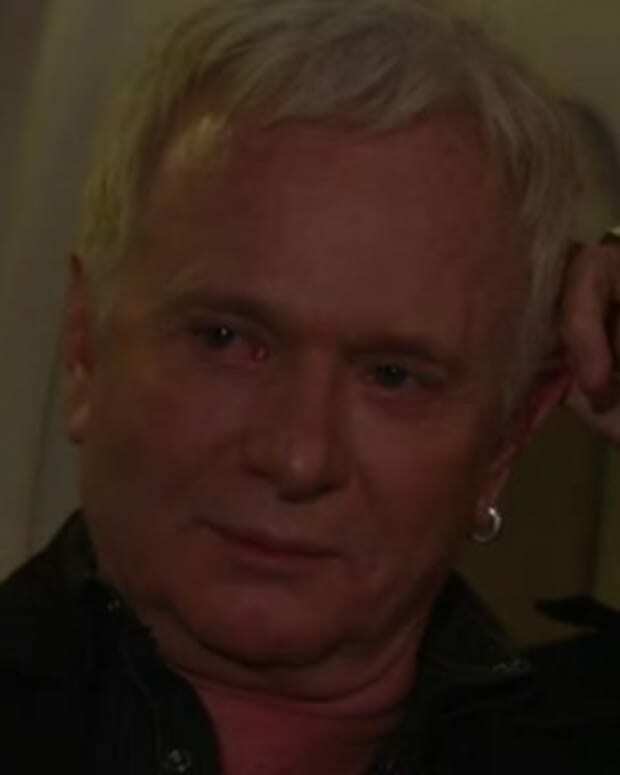 Johnny says he’s not responsible for what his father does, anymore than Dante is responsible for Sonny’s actions. Johnny swears again he wouldn’t do this to her son, since he cares what happens to her and he has respect for Dante. Olivia reminds him she knows where he keeps his gun. 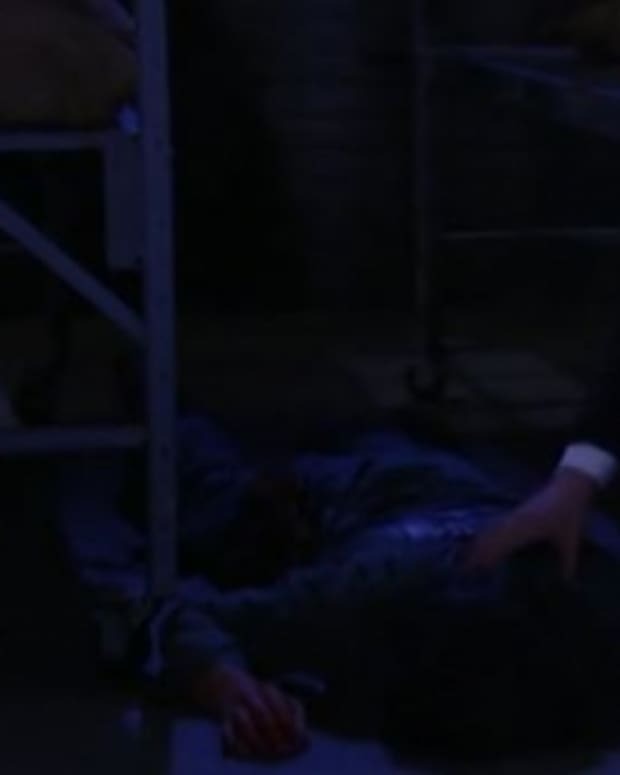 Sonny tracks Johnny down on the hospital roof and says he believes that Johnny didn’t shoot Dante. He claims he wants to keep the truce Dante brokered. Johnny doesn’t really believe him, but Sonny swears to it and the two shake hands. Olivia tries to calm Lulu down and tells her to get some air. Lulu says she will, but warns Lucky not to be there when she gets back. Lucky asks Olivia to let him know when Dante wakes up. Johnny tells Olivia that Sonny believes he wasn’t responsible and it would be nice if she believed it too. Carly checks in with Abby, but neither know where Michael has disappeared to. Carly heads over to the warehouse, to find him. Carly explains Sonny built a panic room after Michael was shot and after finding the button to open it, the two put the drug bags in the room. The door accidentally closes, locking them in. Ethan finds a glove in the entrance to the passageway. He goes through the tunnels, hearing noises until he’s back where he started. The portrait has been moved and the glove is missing. Jason explains to Sam that he comes to this spot when things aren’t going well, but says he didn’t come when Jake died. He didn’t want to bring that pain to the cabin. He says he’s found a home with Sam. Sam’s happy to be there, where there are no intrusions. She wants them to go on their honeymoon and not come back. They joke about that, but she’s just grateful for what she has. She and Jason hug, but he gets freaked out by his reflection in the mirror. She wonders what’s wrong. Jason denies anything being wrong and the two head off on the motorcycle to the airport for Hawaii. Abby finds Michael crying in one of the offices. He’s sorry about how he acted and that his first thought was to cover for Sonny and Dante could have died because of it. He says he felt as helpless as when in Pentonville. Michael feels he should have known someone would make a move. Abby points out that whatever it was, happened after he left. Sonny asks to speak with Michael alone, so Abby leaves. Sonny tells Michael that nothing was his fault, but that he’s going to take care of it. He thinks Johnny had something to do with it because he heard the way Johnny was trying to explain things to Olivia. Sonny figures Johnny didn’t pull the trigger, but he knows something. Sonny says he’ll play it that he’s keeping the truce, but then will retaliate. Abby listens at the door, as Michael asks to be able to help in any way. Closing montage; Lulu cries on the hospital roof. Lucky lies down to look at his two pills and finds the envelope from Siobhan. Luke’s back in town. He calls Skye to thank her for her help and agrees that he needs to be home.